For more information about this entry, contact the author. email: jiamjit@boonsomfarm.com. Commercial Spirulina Algae Farm in Thailand. 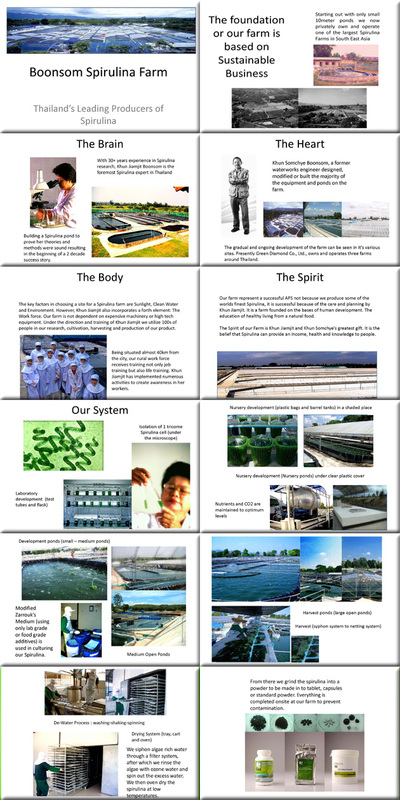 3:10 minute video of Commercial Spirulina Algae Farm in Thailand. (2010).